Mansfield and Bury remain the two standout teams in the division thanks to Lincoln‘s relatively modest attack not being on a par with their excellent defence. Exeter and MK Dons traded places after the former triumphed in the Paul Tisdale derby. 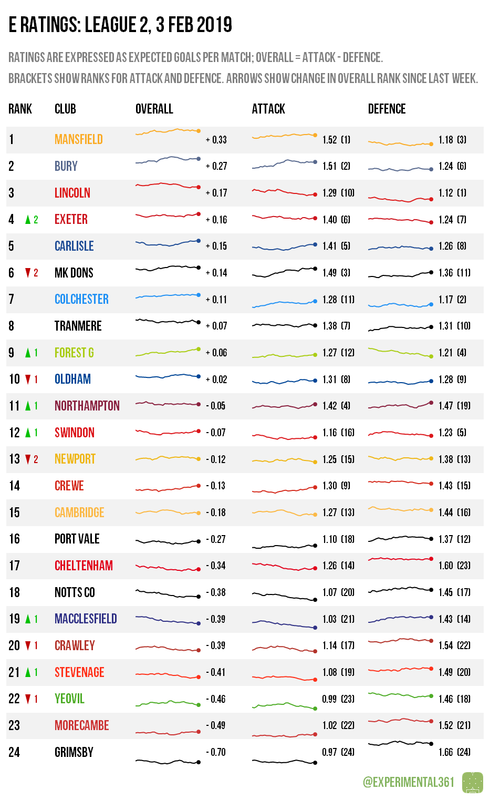 While Grimsby looked convincing in victory this weekend, their poor showing in the data over the long term means it’ll be a while before they’re able to overtake anyone in the ratings. Lincoln‘s position in the table – six points clear of Bury and with a game in hand – means that they’re still narrow title favourites despite a draw at bottom side Notts County, who edged slightly closer to safety but still look likely to drop into the National League. Exeter‘s win over MK Dons keeps the play-off race open but makes it tougher for the teams in upper-mid table to catch up. 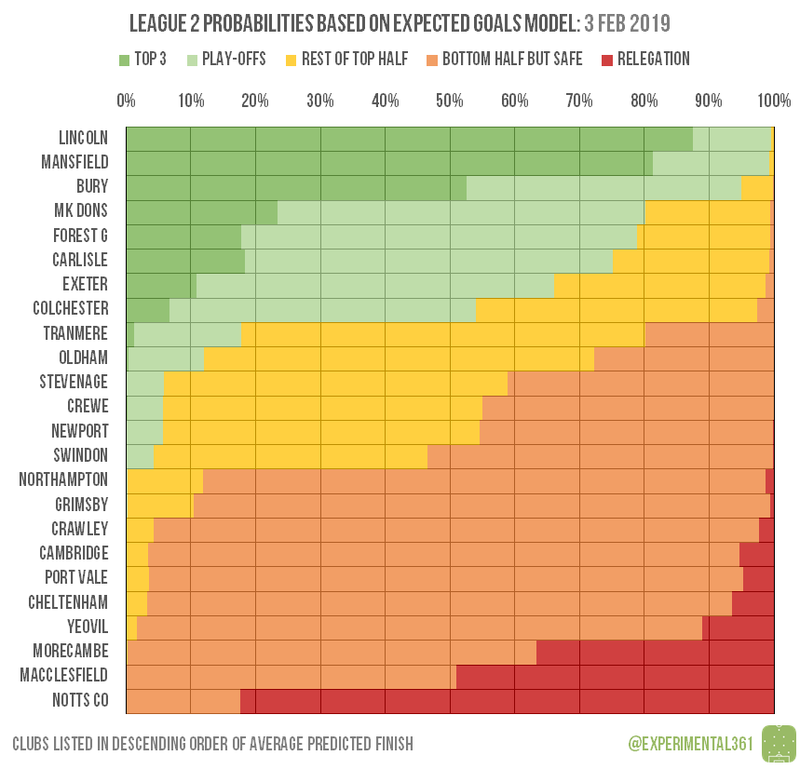 At the bottom it still looks like one of Morecambe or Macclesfield will be relegated along with Notts County, although there’s plenty of time for the much smaller red bars above them to widen.